I’ve mentioned before on Fit & Awesome how much I love holiday traditions, and giving back to the community is a big one for me. 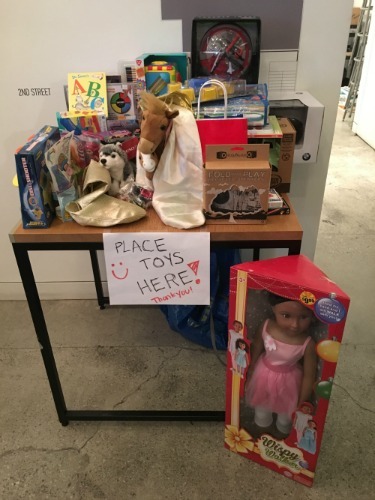 This year we participated in a couple local events – we donated new, unwrapped toys to children at the UCLA Mattel Children’s Hospital and some friends and I gave a couple items to a teenager who lost her mother earlier this year to cancer. I can’t wait until Toddler Awesome is a bit older and we can participate in these acts of giving together. New, unwrapped toys going to UCLA Mattel Children’s Hospital. Earlier this year Frontier Communications acquired Verizon FIOS®, making them our new cable and internet provider. We have been loyal FIOS® customers for several years now and love how they not only provide great internet and cable service, but they are also big on giving back to the community. 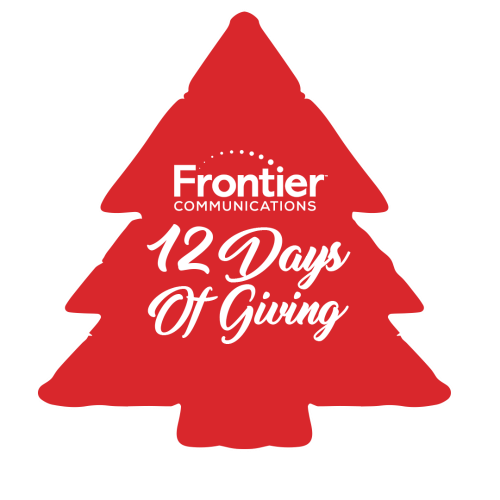 I love that Frontier Communications has carried on this tradition. I’ve seen Frontier Communications tents at many local South Bay events this year including the Manhattan Beach AVP Open and Redondo Beach Lobster Fest. Follow Frontier Communications on Instagram at @FrontierSoCal. Fill out the 12 Days of Giving Sweepstakes Entry Form here. The sweepstakes runs until December 21st so keep checking back to the @FrontierSoCal Instagram to see more great prizes you can win. Good luck! I wish you all a wonderful and joyous holiday season! What about you? How do you give back during the holidays? Post in the comments and let me know. Very cool! I love how every year ends with everyone being more thoughtful and giving, it washes away the muck from the months before and starts the new year on a fresh positive note!